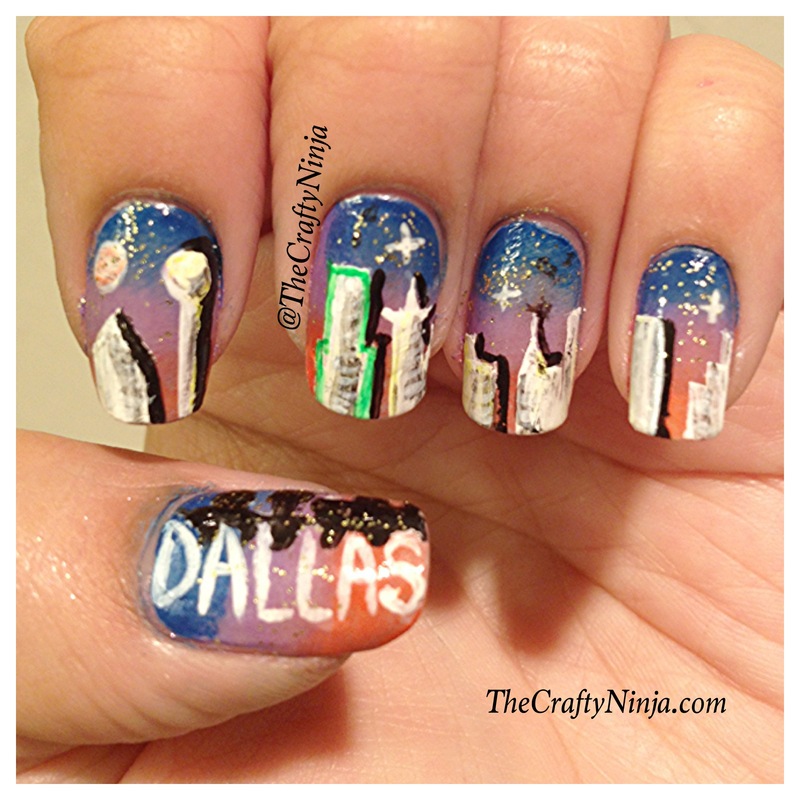 Representing my home town Dallas, Texas! 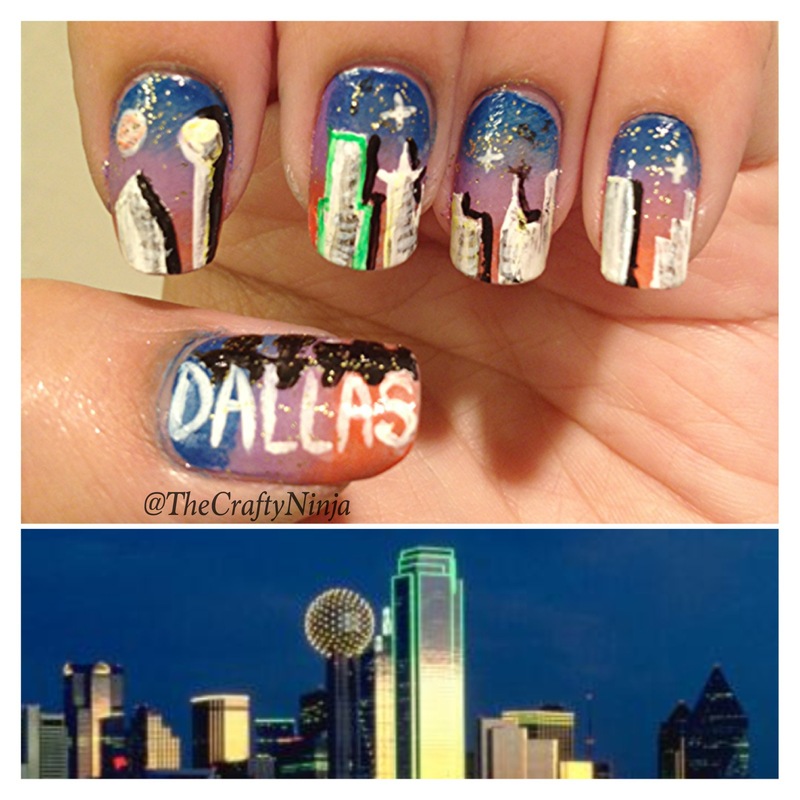 Ever since I could remember the Dallas skyline has always been an inspiration for my art. 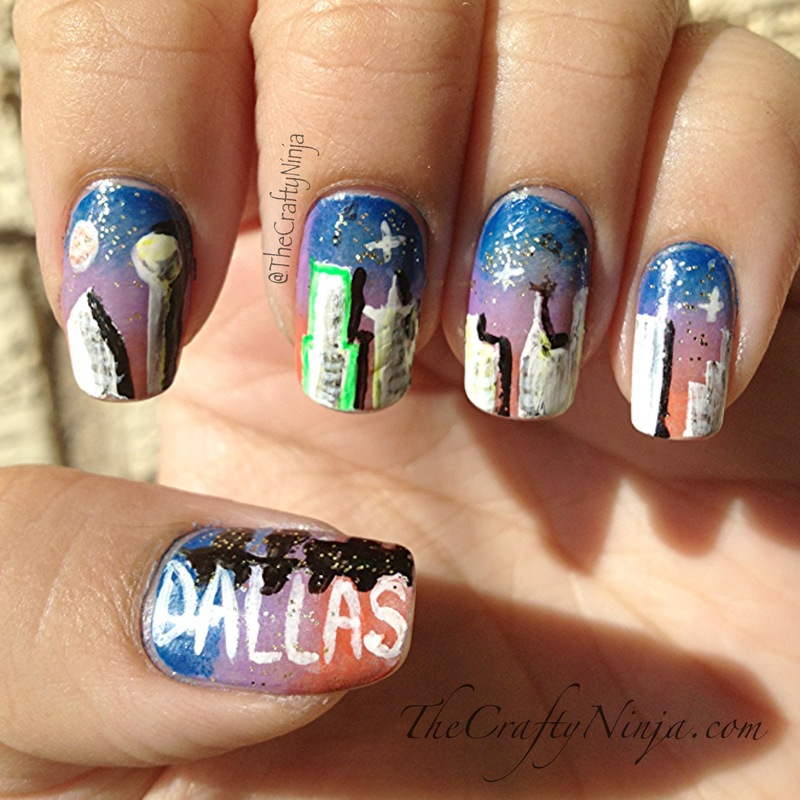 I finally got around to painting my nails of my favorite city, the city I grew up in. I love my city and am proud to be a Texan. Another view with my inspiration picture, which is not mine.